Holy cow or in this case holy chicken! I recently made a crock-pot meal I saw on Pinterest (surprise, right? )The pin was just a screenshot of a Facebook post showing the recipe. 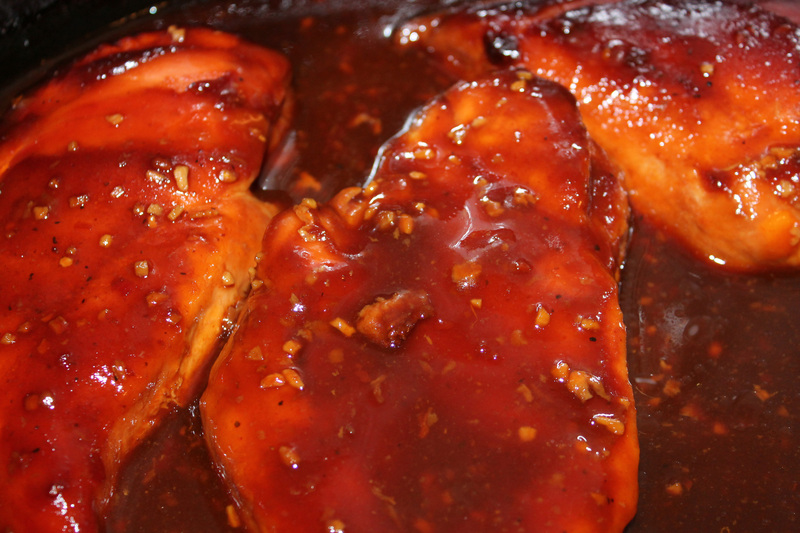 Sweet Baby Ray’s Crock-pot Chicken. You have easy and then you have EASY. This was EASY. I threw everything in the crock-pot before leaving for work yesterday morning. Cooked the chicken slow and low for 10 hours. The recipe instructions gave a 4-6 hour cook time. My chicken cooked while I was at work that’s why mine cooked as long as it did. The chicken was delicious, wasn’t tough. There was a nice dark glaze on the meat. 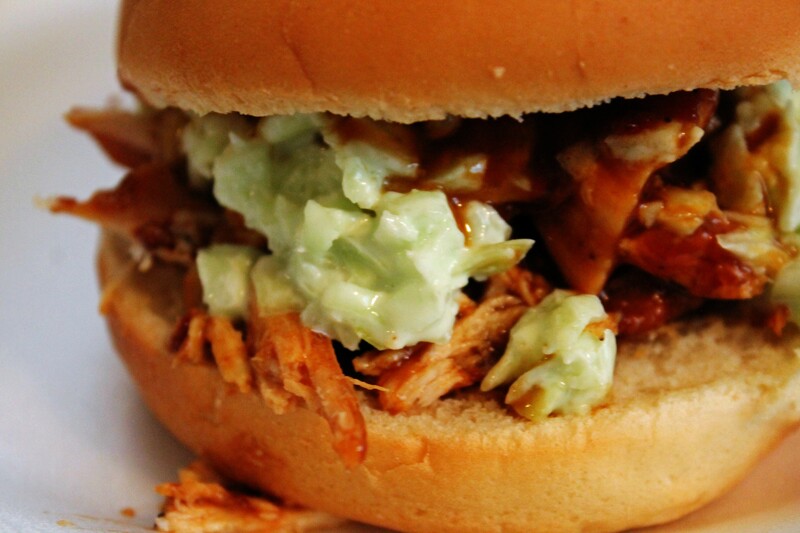 I shredded the chicken with a fork for BBQ sandwiches. There was a tasty sauce left in the pot that worked get as a sauce for our sandwiches. This will be a regular dish here at the crypt. Mix everything but chicken in a bowl. Place chicken in crock-pot, pour in sauce. Turn crock-pot on low and forget about it. Go to work, read a book, relax, hide a body or take over the world. Let the crock-pot work its magic. 4, 6 or even 10 hours later sit down and enjoy a great meal. A snapshot from the pot.